“Wendy literally breathes fresh air into my tired attempts at copy." "...work is always of the highest quality and delivered ....within budget." "...effective awards application that led to double finalist success." I am the creator of powerful copy and an expert proofreader and content editor. With a natural ability to absorb your brand identity, I can help to boost your business results through engaging copy and error-free content. 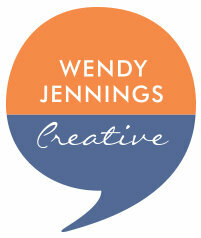 With Wendy Jennings Creative, you get London agency experience without the London agency price tag. So, whether you want to apply, explain, elaborate, educate, inspire, impress or sell, contact me at Wendy Jennings Creative and let’s create content that speaks volumes.